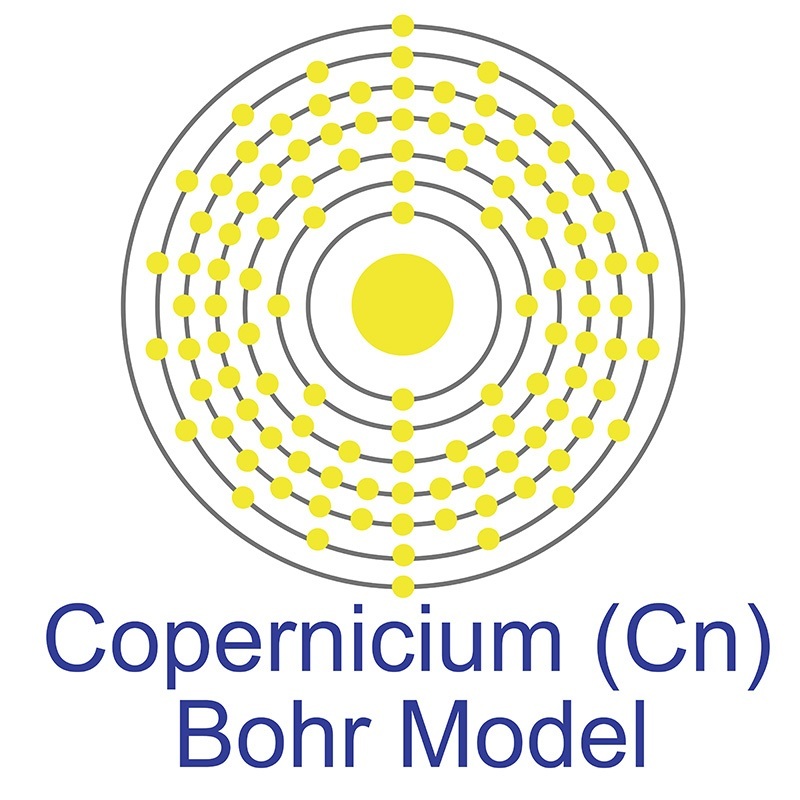 Copernicium, known formerly as ununbium, is an extremely radioactive element first synthesized in 1996 by a team of German scientists led by Sigurd Hofmann, Peter Armbruster and Gottfried Münzenberg at the GSI Helmholtz Centre for Heavy Ion Research. This initial work produced only a single atom of the element, and the claim of discovery was only recognized by IUPAC in 2009 after years of additional work by the GSI team. To this day, only a few atoms of Copernicum have ever been produced, severely limiting our knowledge of its properties, though it is known that the Group 12 metal likely shares some properties with the other group 12 elements zinc, cadmium, and mercury. The name copernicium was proposed by the GSI in 2009 in honor of Nicolaus Copernicus, "to honnor an outstanding scientist, who changed our view of the world." The name was accepted by the scientific community after a standard period of discussion, becoming official in February, 2010. Copernicium is a D-Block, Group 12, Period 7 element. The number of electrons in each of Copernicium's shells is 2, 8, 18, 32, 32, 18, 2 and its electron configuration is [Rn] 5f14 6d10 7s2. In its elemental form, Copernicium's CAS number is 54084-26-3. Copernicium was discovered in 1996 at the Institute for Heavy Ion Research (Gesellschaft für Schwerionenforschung (GSI)) in Darmstadt, Germany by Sigurd Hofmann, Peter Armbruster and Gottfried Münzenberg. Copernicium is a synthetic element that is not present in the environment. Little is known about the element, its appearance is unknown, and it has no known uses. Copernicium was named in honor of the sixteenth century scientist Nicolaus Copernicus. Copernicium information, including technical data, safety data, research, applications and other useful facts are discussed below. Scientific facts such as the atomic structure, ionization energy, abundance on Earth, conductivity and thermal properties are included. Copernicium (Cn) is an artificial element. Like all artificial elements, it has no stable isotopes.